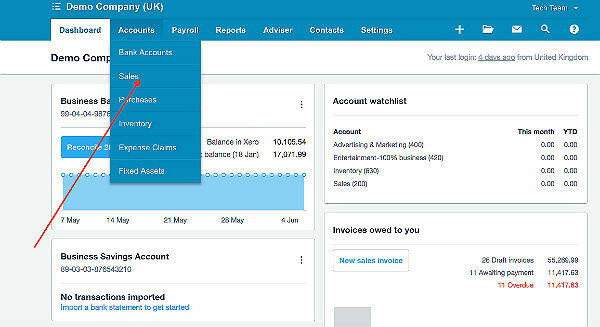 Viewing your draft invoices in Xero. Having setup your integration of your Xero account with your AirPOS account you'll want to see the results of your efforts. To do this go to www.xero.com and enter your login credentials. You'll see a screen like that below. 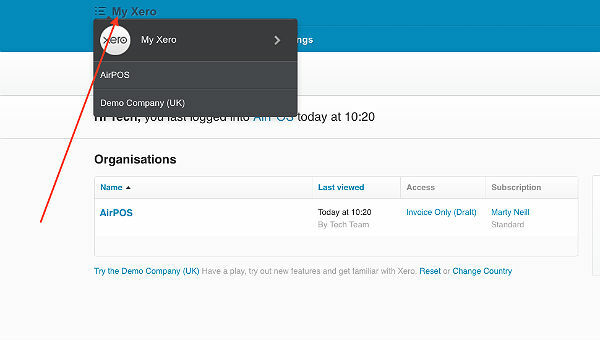 Click or tap on 'My Xero' at the top of the screen to expand the options and then select the account you want to view. In this example we'll be looking at the draft invoices for 'Demo Company (UK)'. The screen will change to one similar to that below. Click on 'Accounts' from the horizontal navigation panel at the top of the screen and from the dropdown list tap or click on 'Sales' and the screen will refresh and look like the image below. Click or tap on the 'New' button as shown above and you'll see a screen like the next below. 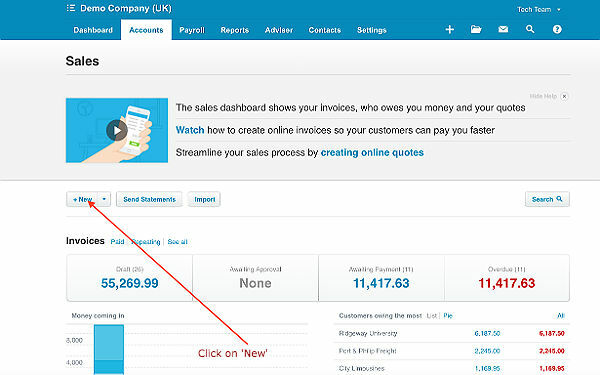 Click on the link 'Sales > Invoices >' as shown above and your new draft invoices will appear as in the example below.